Follow these seven tea-aficionado tips and you’ll enjoy a richer and bolder cup of tea. Each and Every time. Guaranteed. 1. Use good quality water. That means — “tasteless” water. If the tap water is not pure tasting then brew with spring or filtered water instead. Well-balanced water contains about 150 parts per million (PPM) of minerals. 2. 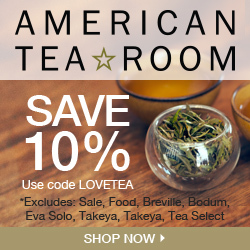 Choose premium loose leaf teas from reputable vendors. Try to purchase tea that is not older than last year’s harvest. 3. Store tea in a dry spot, in an air-tight, opaque container to preserve freshness. 5. Steep at the optimal temperature to extract the most flavor. Use the temperature recommended for the particular type of tea you are brewing. A variable temperature electric tea kettle or a tea maker can take the guesswork out of temperature and steep times. 6. Experiment with timing. Steep for too long and you’ll end up with a bitter taste; too short and the flavor won’t be as bold. Look for recommended steep times on the product label. Rule of thumb: never steep longer than 3-5 minutes. 7. Treat yourself to something special. Brew your tea in a Yixing teapot. Dedicate a teapot to each of your favorite teas for bolder flavors as the teapot is seasoned with use. Great ideas, thanks EverythingForTea. I am going to try. It should be interesting to see if my fiance will notice any difference. I am considering to get her a Yixing teapot as a gift for her birthday. She’s very serious about her morning oolong. Just wanted to share that you’re so right about using the correct temperature. I was amazed how much better my tea is tasting since my husband got me the Breville One Touch tea-maker for our anniversary. BTW: I noticed your story about how many cups can one make from one ounce of tea and that’s exactly what I am getting with mine. An really useful article explaining how to make a bolder stronger tea. I checked your site and I love it! Your website offers some truly unique articles. Thank you for the information. An outstanding advice! I’ve just forwarded this onto a coworker who was doing a little research on this. Thanks for this excellent article. I loved it!